Snowbee's new Superlight Fishing Rucksack is made in the same 840D Rip-Stop polyester as the new reel cases and weighs in at an astonishing 475g (17oz). The main compartment is big enough to take your lunchbox, flask and waterproof for a days fishing, and if you need more room theres a zipped expander panel to increase the volume. Size: 43 x 32 x 22cm  Volume 28 litres. 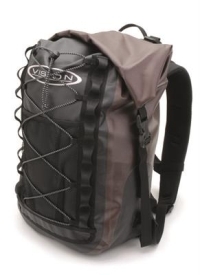 A practical rucksack that is both competitive and attractive. 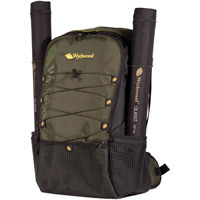 The 600x300D polyester with PVC backing is waterproof and the design of the rucksack to be big enough to carry all the gear required but also comfortable to carry. 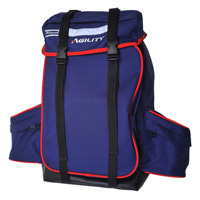 The strong adjustable carry straps are padded and the base of the rucksack is re-enforced. A large front pocket (36/27cm) is perfect for rig wallets and terminal tackle that needs to accessed quickly. The two useful side pockets (18cm/14cm) have a zip flap for protection. The top flap also includes a zip pocket, two retaining straps and a reflective strip for ease of location in the dark.  2 side zip pockets.  Large front zip pocket.  Zip pocket in flap.  Rucksack reflective tape on top flap.  Quiver reflective tape on top. 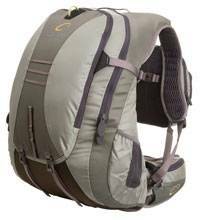  External rod pocket (50cm x 20cm) and retaining straps on quiver. 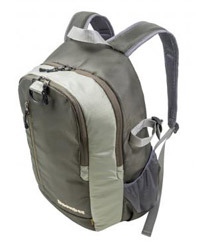 Fishponds most technical pack to date. 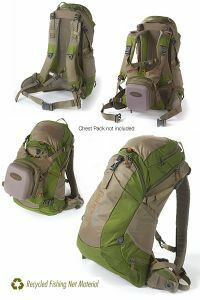 This is the pack for you if you like to get off the beaten path and explore. Designed with the avid angler in mind, the size allows you to carry any extra gear while the new fabric and zippers help to keep your valuables dry.